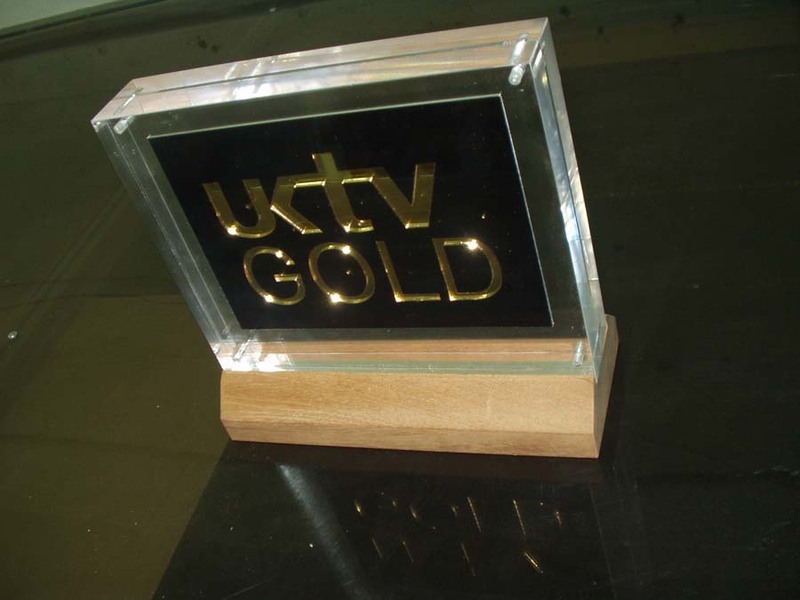 The body of the Award is laminated from various thicknesses of clear acrylic. The centre logo is made from black with gold mirror laser cut letters, sandwiched between the clear acrylic and fixed with magnets. The Award is then mounted on to a wooden base for presentation.